I love to shop. Not just the actual accrual or gathering of things, I love the act of shopping, the seeking out of said things. It is the modern day equivalent of hunting, at least for a city dweller like me. Luckily, I don’t have to forage for food any further than the Whole Foods down the street. I certainly don’t have to skin a bear or a buffalo to keep warm or clothe myself. But there must be a vestigial or primordial urge left in my DNA. Even online, I browse almost daily and fill virtual carts and most of the time I don’t have to buy anything. I just love the hunt. I am at once cynical, curious and sometimes naïve; a rare combination that can lead to some exciting discoveries. Of course, the flip side is also true. There are times when I do things that I know are not smart. 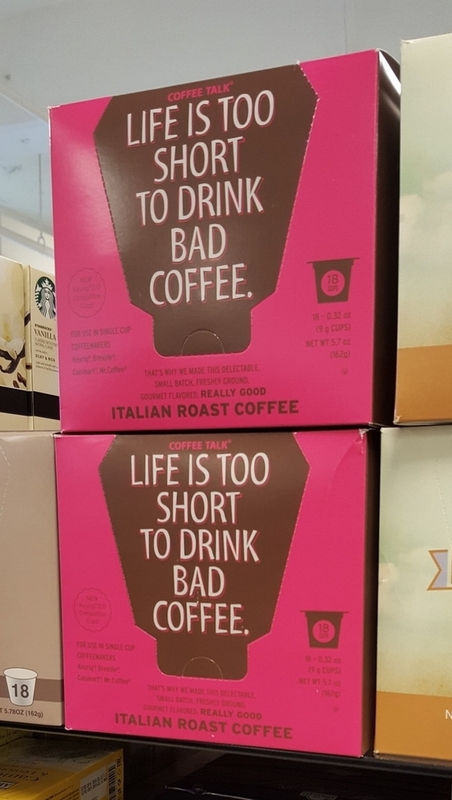 “Life is too short to drink bad coffee” are words that I live by. In fact, I say that very thing, often. How could I possibly resist actual coffee branded by people who are so obviously of a like mind? Coupled with the fact that I love a good bargain, of course I couldn’t. I certainly wish I had. It was awful, quite possibly the worst coffee I’ve ever had. (Digression alert: did you know there is an actual “worst coffee in the world” contest? Or that you can send what was probably once a contender for that title to your “friends”? I’ll leave you to figure out where I learned that.) Turns out it was cheap for a reason. I’d have been safer with the out-of-date vanilla caramel Starbucks (blech). At this point you’re probably tempted to ask, “What did you expect from coffee you bought at a discount department store?” That’s the thing. I had no idea what I’d get, but it could have been great. My friends know that having a store like this in such close proximity to my apartment is very dangerous. I can’t avoid it. (It’s in the building under which runs the train I take to and from work.) They don’t, however, know the real reason it’s so dangerous. They know I’m addicted to clothes and shoes, but deals on those items are everywhere. It’s the “gourmet section” that poses the biggest threat to my bank account. There are real treasures to be found! Weird sauces made from exotic peppers jams and cookies from England, Scotland and France, Japanese seaweed and kale snacks, all crammed together in one place! 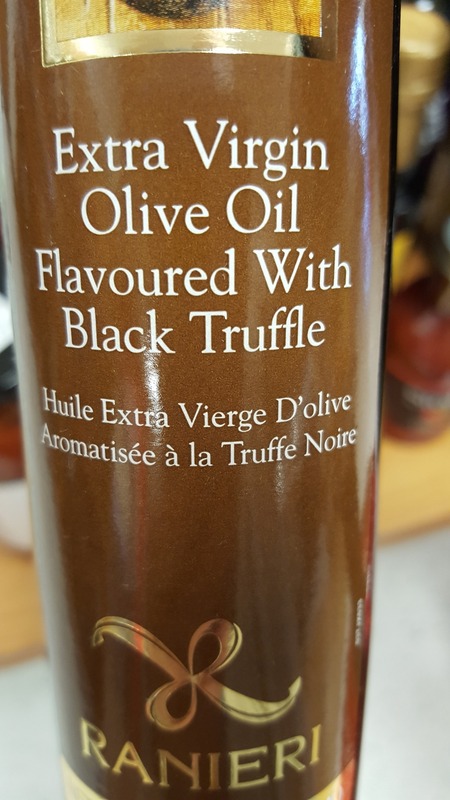 Where else can you get truffle oil for $9.99? 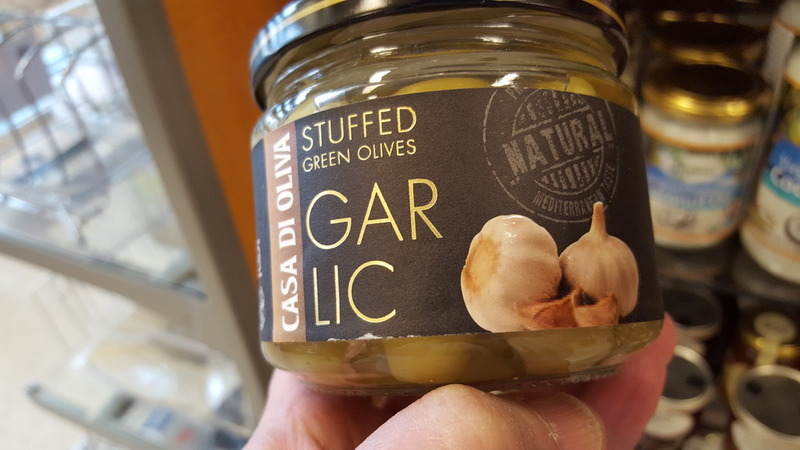 Well, it’s technically olive oil with truffle “flavor”, but still. 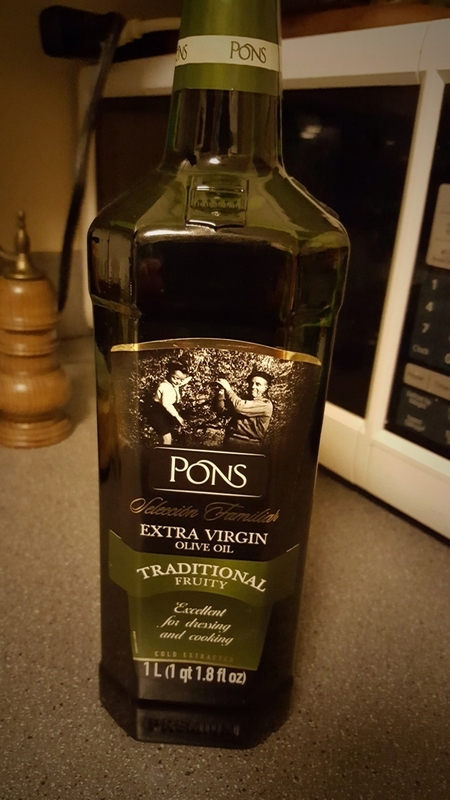 And will you look at the mammoth bottle of EVOO I found for $8.99? Take that Dean & Deluca. 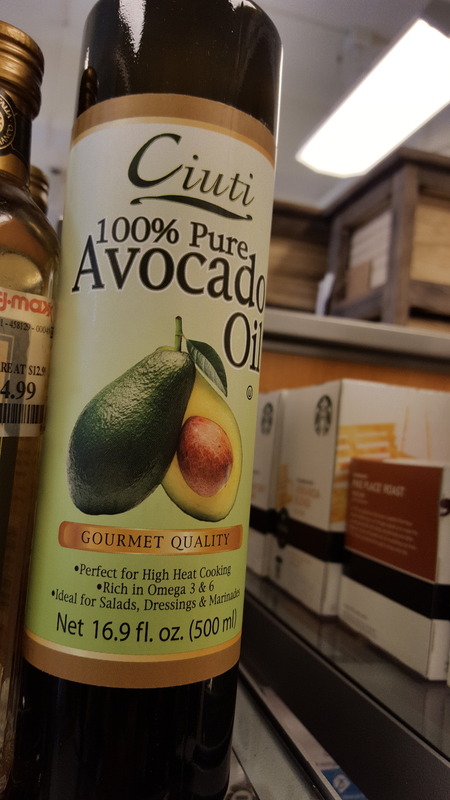 I’ve never seen Avocado Oil in my local Trader Joe’s! 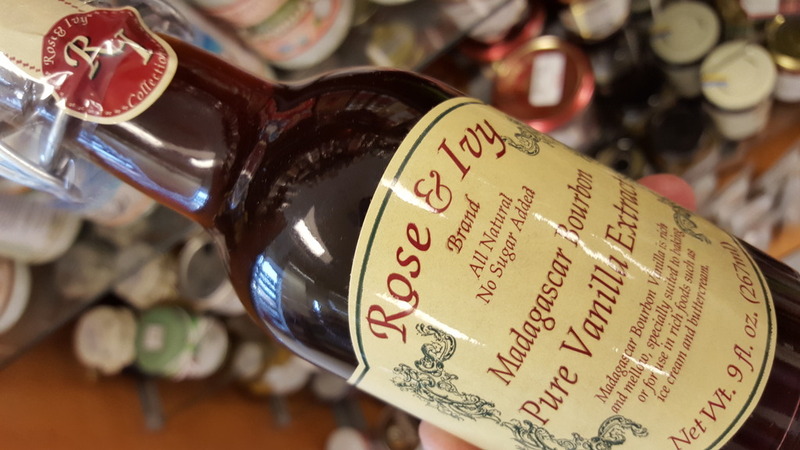 Madagascar Bourbon Vanilla! At a price that should shame Nielsen-Massey! 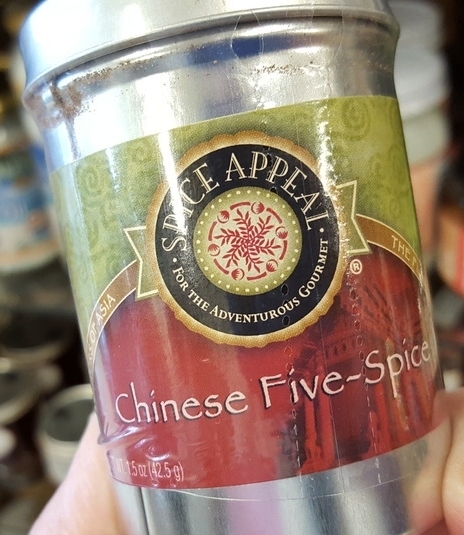 Chinese Five-Spice. I know I have at least one recipe in my stash that calls for it. I’ll need it when I get around to that Chinese Cooking Class at the Adult Education Center. And at $3.99, how could I resist? I know I’ll need these. 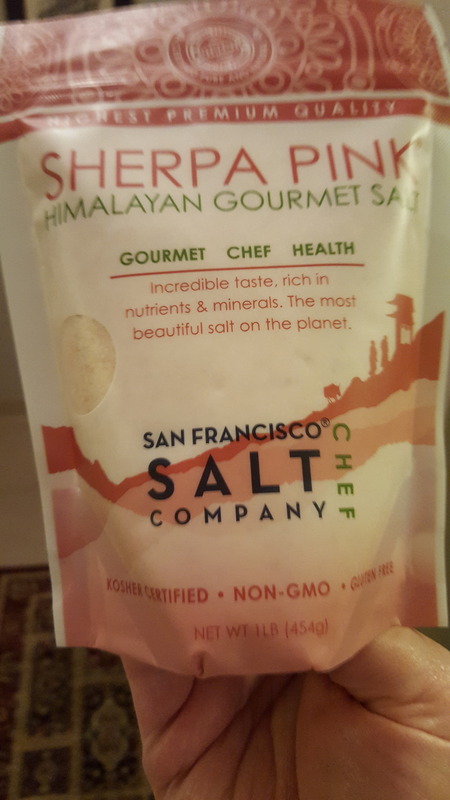 You want fancy salt? A full pound of Pink Himalayan for $4.99. Bonus! 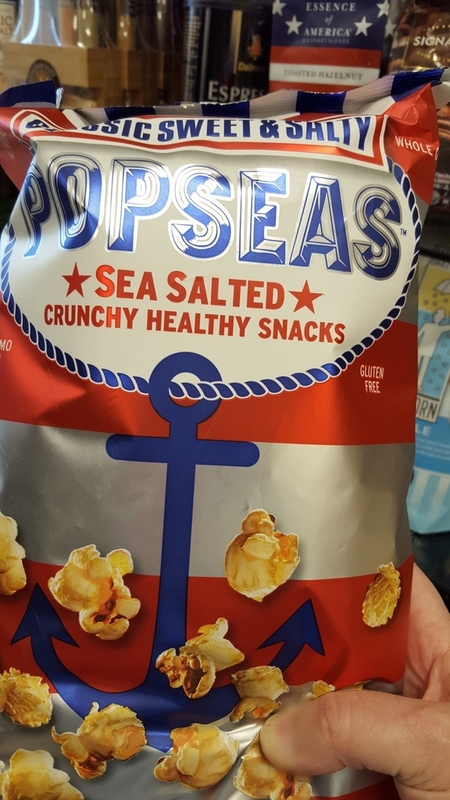 And the piece de resistance – the item that turned out to be so good I had to go back and clean out the shelves – popcorn. I am on a mission, it is my quest, to find and/or make the perfect popcorn. It is my desert island food, the one thing I cannot possible do without. Trust me when I tell you, this stuff is manna from heaven. I told you this place is dangerous. I may have to move house. What about you? Is shopping a chore or a leisure activity? Do you feel a rush of adrenaline when you find a good bargain or the elusive “thing” you’ve been searching for? What are your favorite places to hunt? 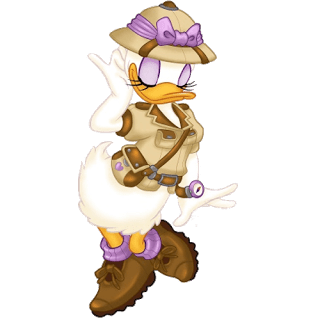 Do you go alone or hunt in pairs so one can be the lookout (or the angel on your shoulder telling you to “put that back”)? I long ago explained to my husband that bargain shopping was equivalent to hunting. He still doesn’t buy it. oooo I wish we had a World Market! Leave a reply on "A Hunter/Gatherer in the Urban Jungle"